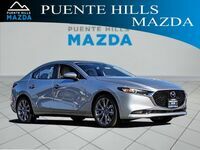 People always want to know what the differences between the Mazda3 4-Door and the Mazda3 5-Door are. We will give you a hint: it doesn’t have anything to do with their actual doors. What gives the 5-Door vehicle its name and distinction is its larger trunk space and cargo “door”. However, that is not the only difference between the two vehicles. There are plenty of similarities, and we will cover those too. For example, they both seat 5 passengers and are within .1 cubic feet of each other with a 96.4 cubic feet of passenger volume. They also both come with the same warranties. 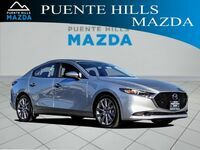 Keep reading to learn more differences and similarities between the 2018 Mazda3 4-Door and the 2018 Mazda3 5-Door. The chart above shows both of their major differences which are their cargo capacity and their prices. Past that, they have a few other variances. Let’s start with safety features. 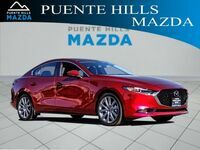 They have nearly identical safety features, but the 2018 Mazda3 4-Door Sport Manual has optional Blind Spot Monitoring (BSM) and optional Rear Cross Traffic Alert (RCTA), which are not available on the 2018 Mazda3 5-Door Sport Manual. They both come with a rearview camera and Forward Obstruction Warning (FOW). On the inside, these vehicles are clones of each other. 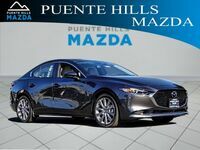 Both vehicles have standard manual air conditioning, power windows, a second-row folding seat, front bucket seats, and optional cargo area tie downs. 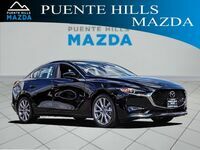 On the exterior, the 2018 Mazda3 4-Door Sport Manual has an optional rear spoiler and heated and signaling exterior mirrors which are not available on the 5-Door version. The 5-Door version comes with standard alloy wheels which are only optional on the 4-Door version. 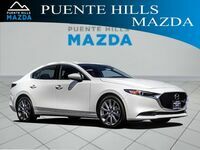 Both Mazda3 4-Door and Mazda3 5-Door vehicles are available here at Puente Hills Mazda in City of Industry, CA. Comparing them in person will give you an even better idea of the difference in cargo capacity between these two vehicles which is their defining feature.